Great holidays in the Philippines and Philippine Tourism and travel is a large subject, so many great places to visit, so many wonderful and strange foods to taste, so many unique experiences to share, so many wonderful and warm and welcoming people to meet, so many vacation options in the Philippines to choose from. Put the Philippines on your bucket list of travel destinations. The Philippines comprise an enormous archipelago with a staggering 7,000 islands. The largest of these islands are Luzon, Samar, Leyte, Panay, Palawan, and Mindanao, and so many smaller ones. Travel in the Philippines mainly epends on buses, a good internal domestic airline system that is economical, not as reliable and generally late but gets you to the main places and of course the many local transport options. About air and bus travel. Take some cheap flights to Philippines, these days there are cut price airlines with quite cheap fares on offer. Philippines tourism is something you will never forget. The Best Philippine Tourist Spots are here. The jeepney is an icon of the modern Philippines and is a backbone of urban and inter urban transport in many places from Manila to Laoag. This post-war piece of innovation was inspired by the American GI jeeps that came to the Philippines in the 1940s. If you want to travel short distances nothing is cheaper than the tricycle which is a motorcycle with a sidecar, and there is the pedicab which is a bicycle with a sidecar. In some northern cities such as Vigan and Laoag City you can still use a kalesa or karitela to get about. These are a horse and carriage that were originally introduced during the 18th century for carrying the wealthy Spanish officials and rich Filipinos, these days a cheap and much slower way to sight see and get about. Come to Pagudpud and stay at TARTARUGA'S on your trip to Pagudpud. 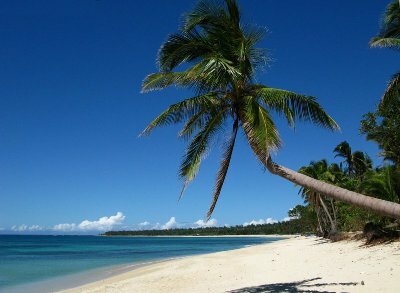 Great holidays in the Philippines can be found in Pagudpud so why not come and visit us. Click on this link to find out more about Ilocos Norte All About Ilocos Norte Vacations and all you need to know.